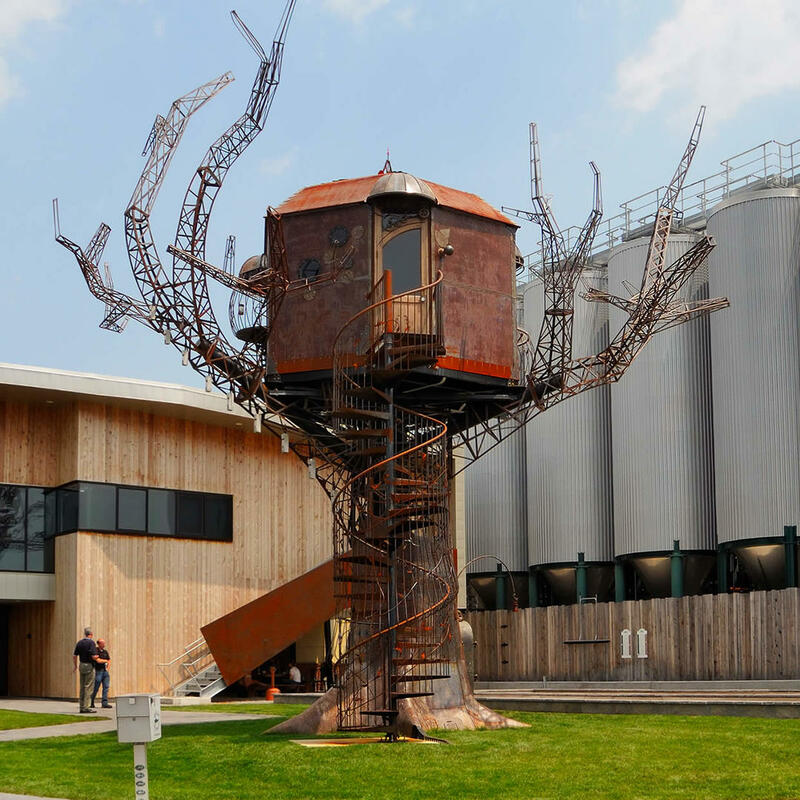 Dogfish Head Brewing Co. bought the Steampunk Tree House for one buck. Of course, they probably paid a lot more to transport the steel and wood structure to their headquarters. Even if you're not into the whole steampunk trend, it's still a pretty awesome sight - with a spiral staircase, stained glass windows, an arched double door, and Victorian sconces. Good news - it can be viewed by visitors to the brewery.